The Kentucky Wildcats are on fire! The team is my all-time favorite team. I grew up in Kentucky and hearing the 'Cats on the radio or watching them on TV was the norm. They are 25-0 this year and I swear I can hear the whoops and hollers all the way in Wyoming. I have created UK nail art in the past. But with their amazing winning streak right now I had to create another. 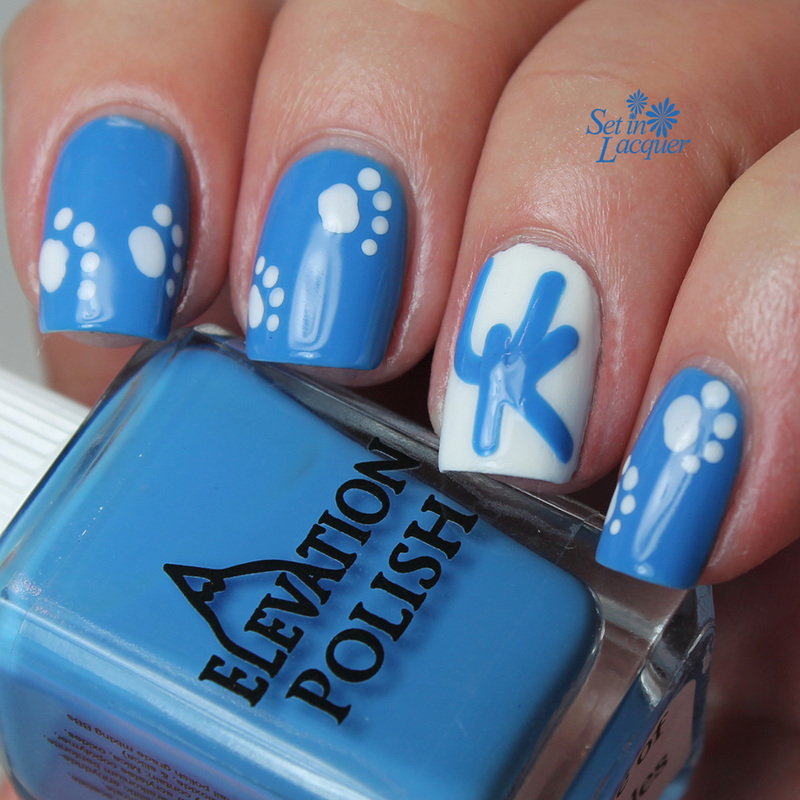 I used Elevation Polish Lake of the Isles for the blue and China Glaze White on White for the white. 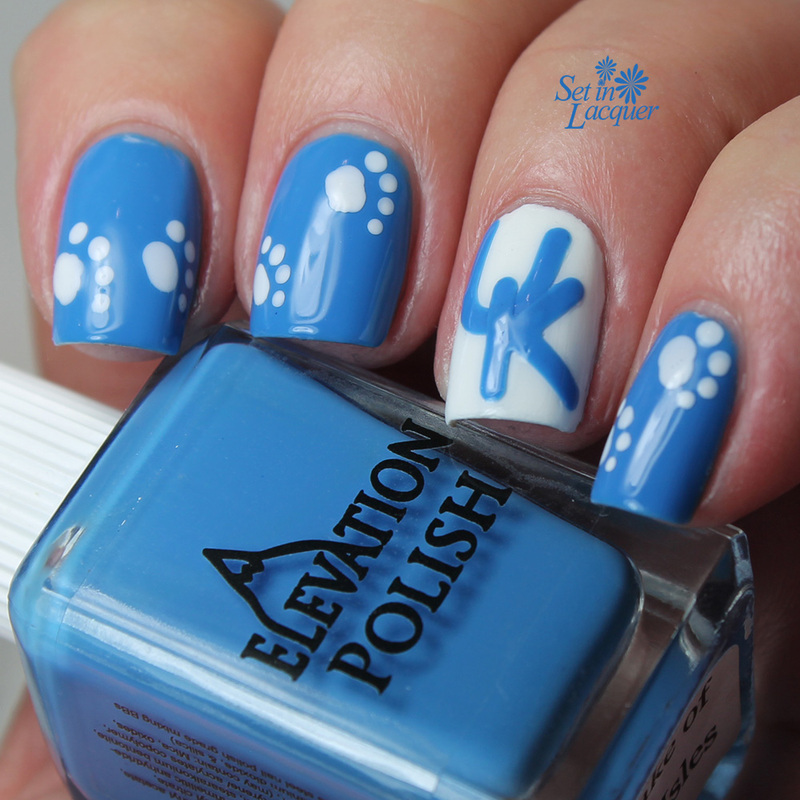 I usually just do paw prints. But this year I found an alphabet set of scrapbook punches - so I created the UK decals with those. 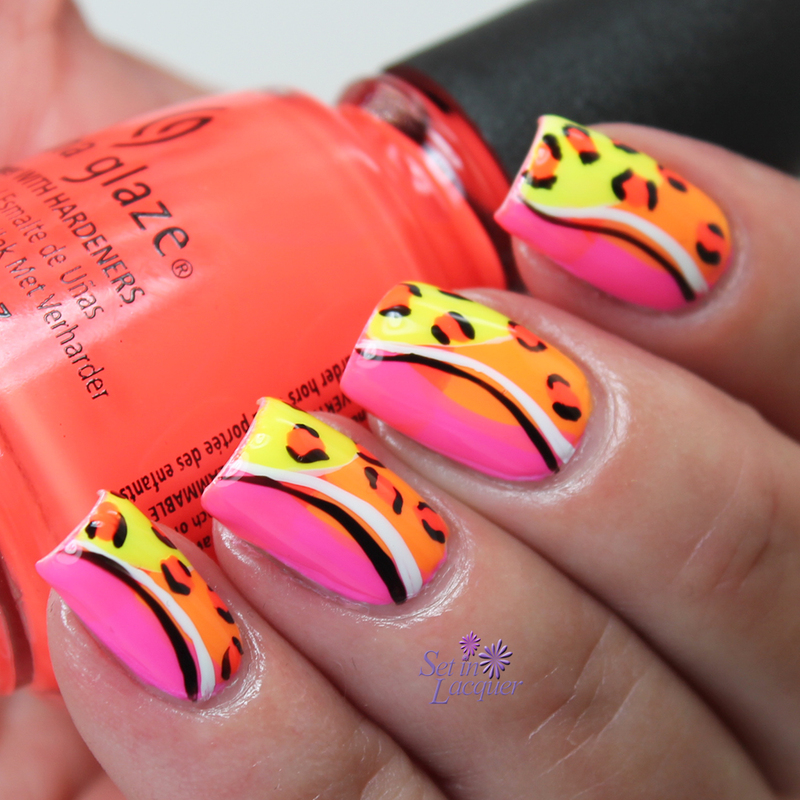 If you want to know more about punch decals, take a look at this tutorial. I love the final look. Of course the letters aren't the right font at all. But I still love it. I can't wait to follow the Wildcats in the next few weeks. 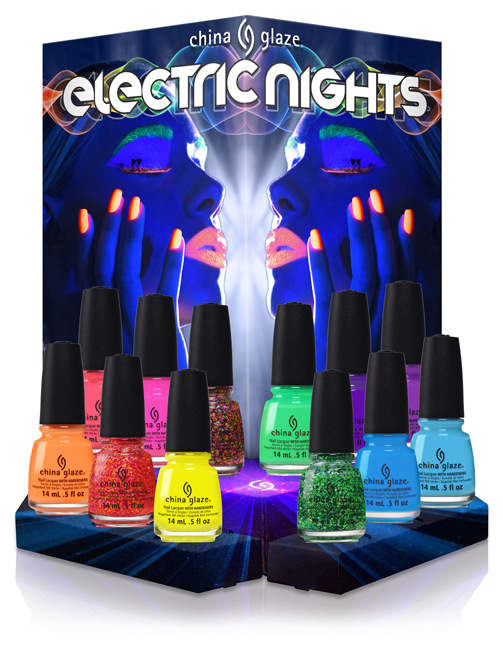 These polishes were previously provided to me for an honest review. All opinions are my own. Please note that computer monitors may display colors differently. 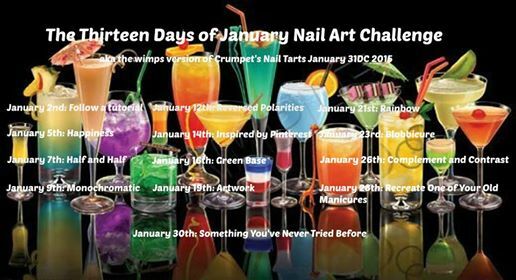 Today's post is day 2 of the13 Days of January Nail Art Challenge! Today's prompt is Happiness and I struggled to think of something. I mean, there are tons of things that make me happy. 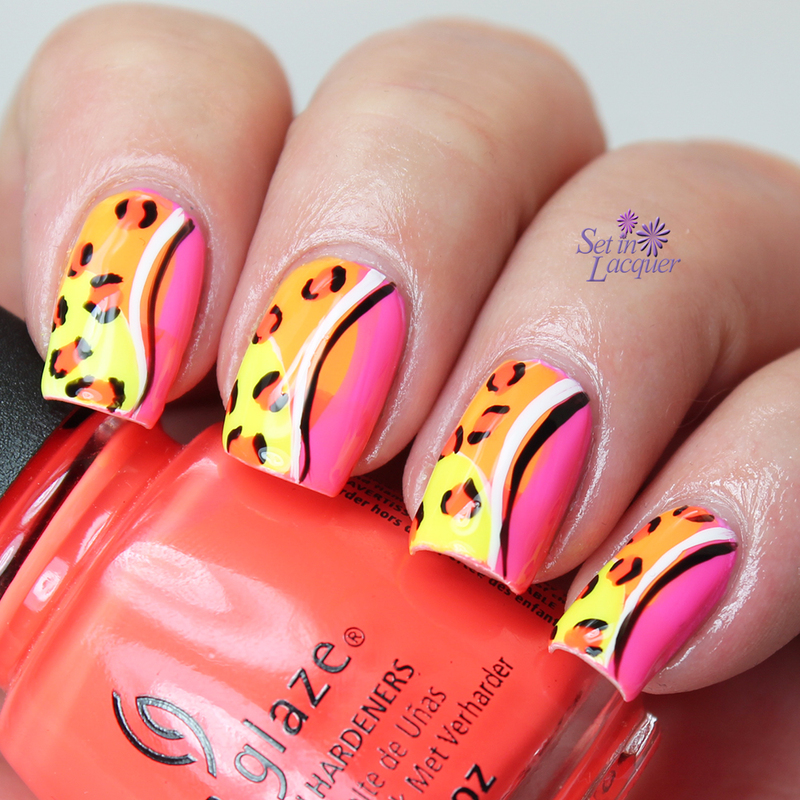 But portraying that on my nails could be difficult. But my dogs make me happy. I recently got a Boston Terrier puppy and she makes me very happy - as do my other two dogs. 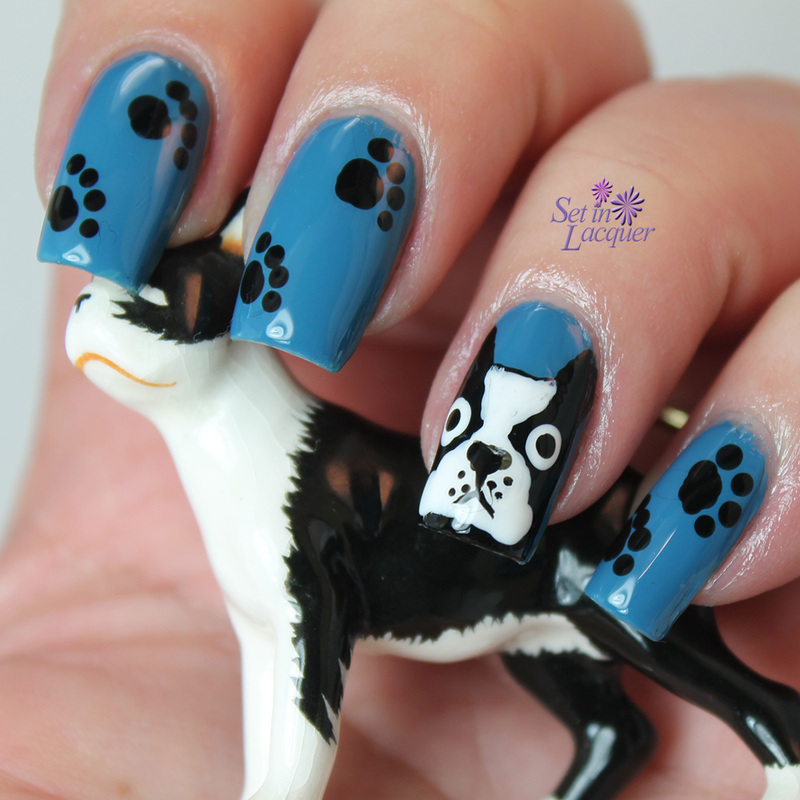 I chose to go with Boston Terrier nail art because it was the simplest of my dogs to recreate. I didn't want to even think about creating all the wrinkles of an English Bulldog, or all the fur from a Shih Tzu. 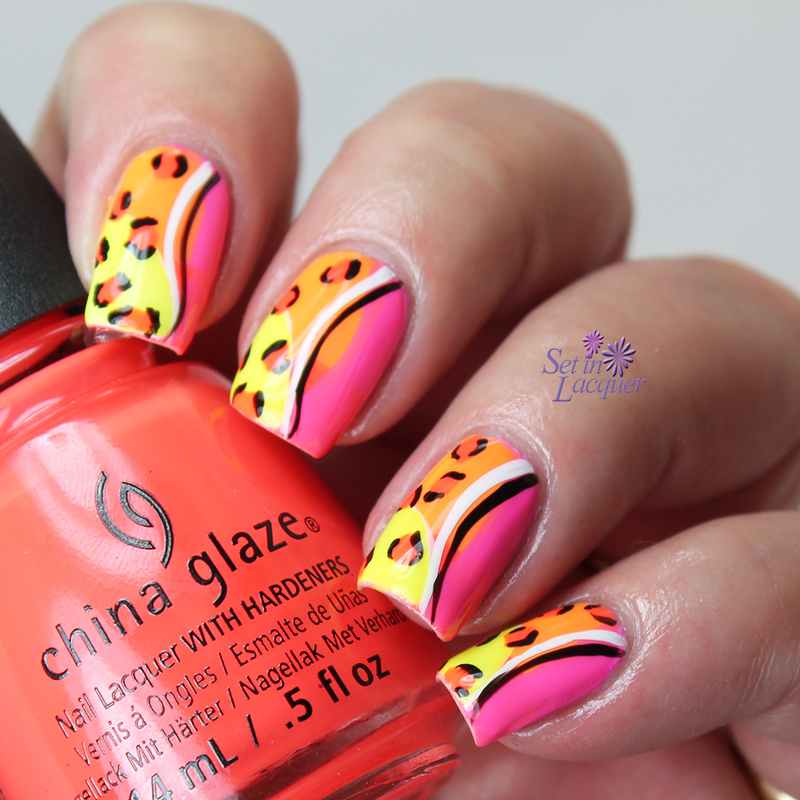 I used Zoya Breezi for the base color, Colors by Llarowe Vincent and China Glaze White on White for the dog and the paws. 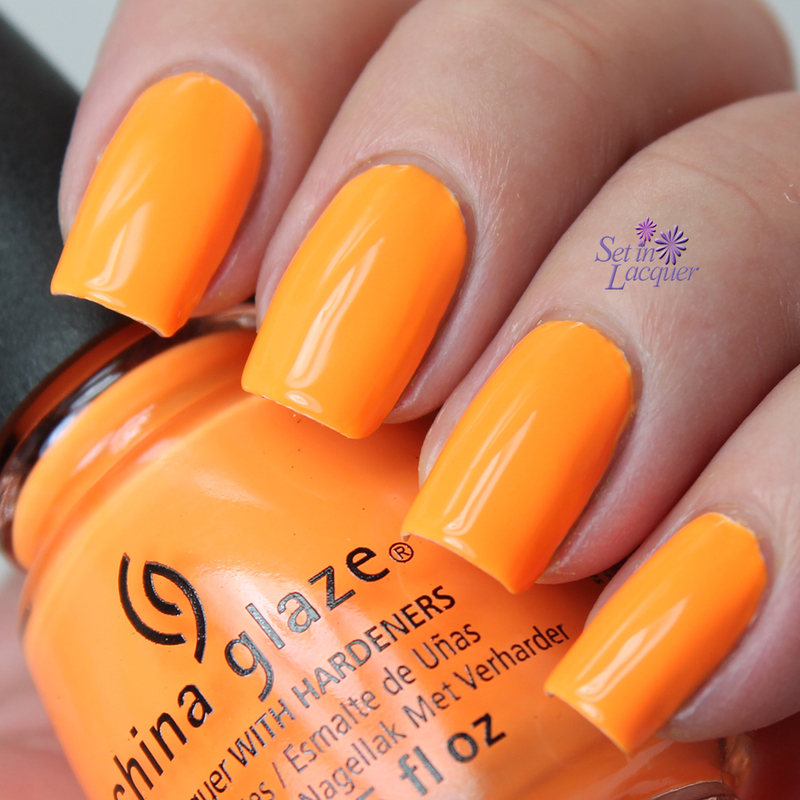 Make sure to check out the other "Happiness" manis below. The days are getting shorter and ready or not... the holidays are just around the corner. 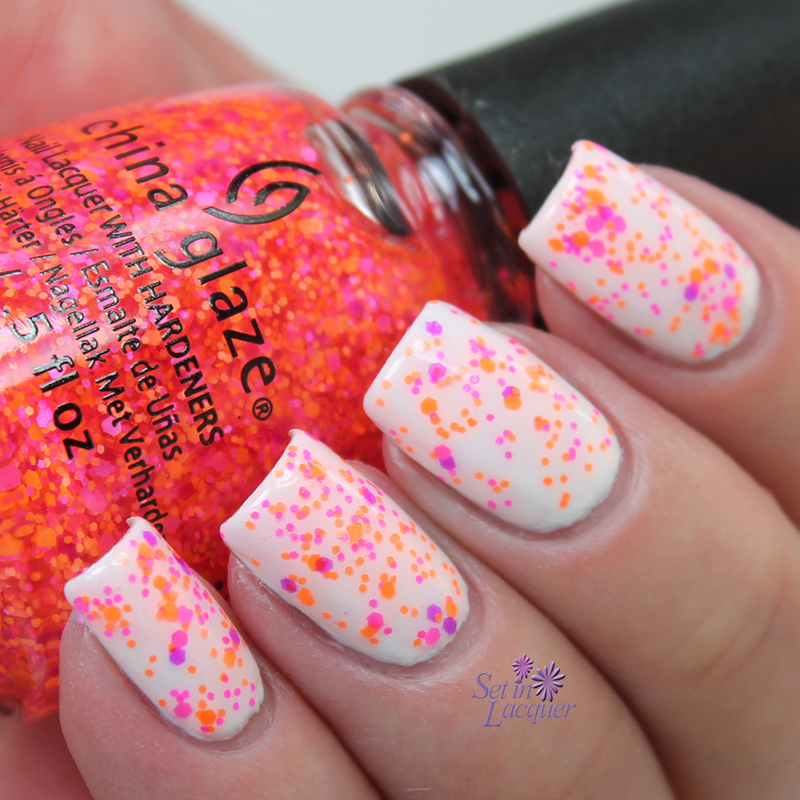 To celebrate the holidays China Glaze has released its holiday 2014 collection - Twinkle! 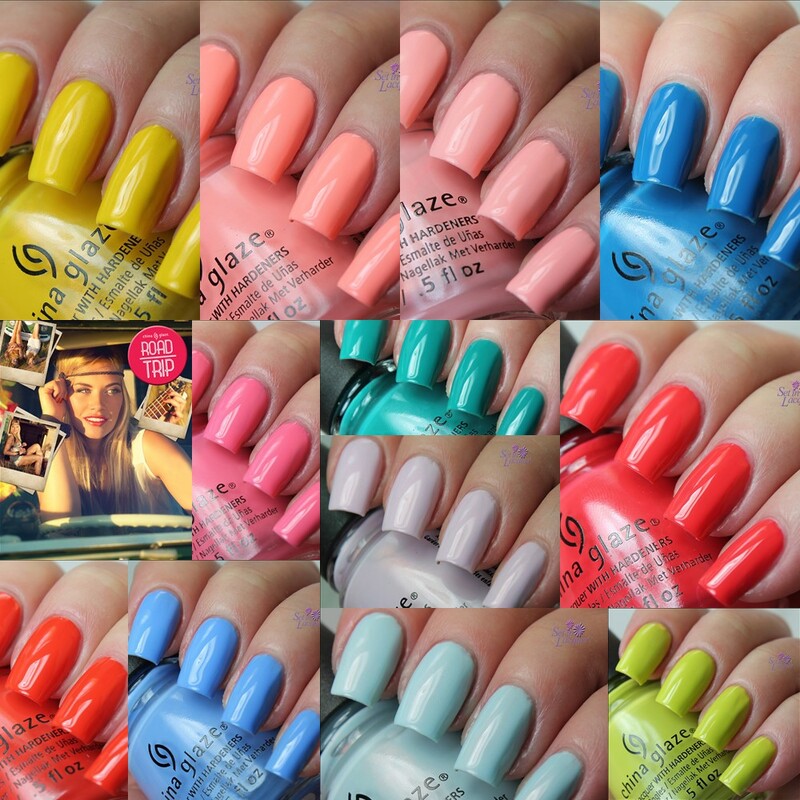 China Glaze® Twinkle features 11 new polishes and one effects top coat. I am going to show you six of them in this post. You can see the other six polishes here. The formula on these polishes is great. I didn't have any issues. I did apply most of the glitter polishes over a base color though. That's just how I like them. 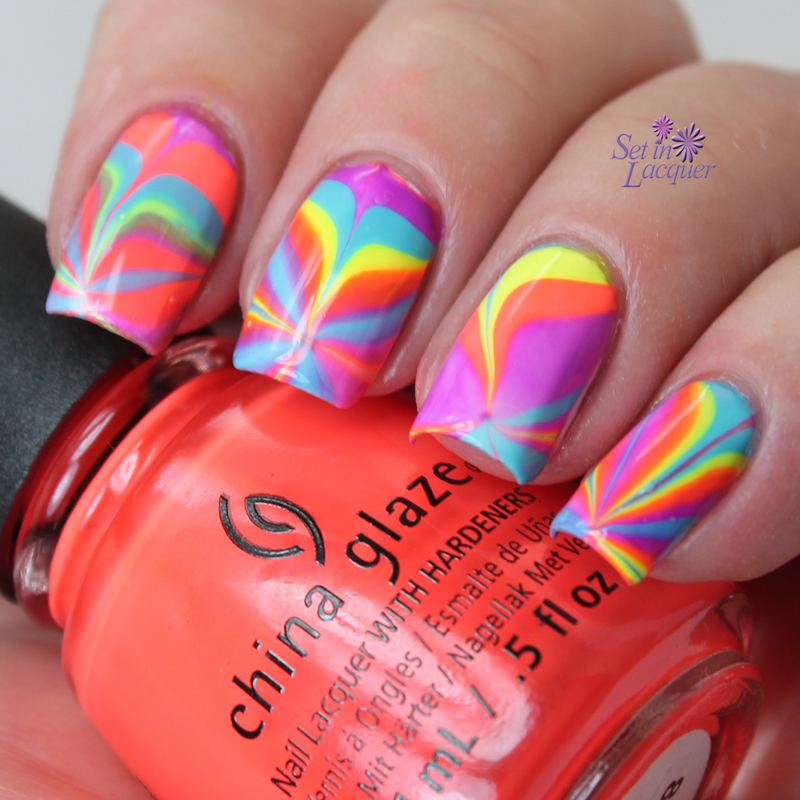 There are some great polishes in this collection. Let's take a look at the second half of this amazing, festive collection. The polishes are in no particular order. 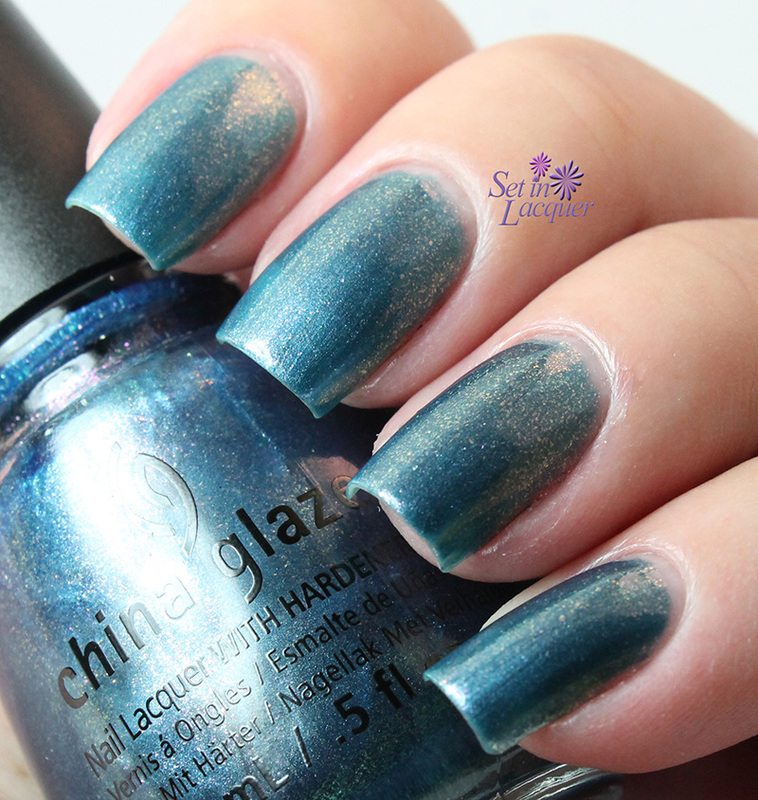 December to Remember is a dark blue iridescent shimmer polish. The shimmer is primarily gold toned. 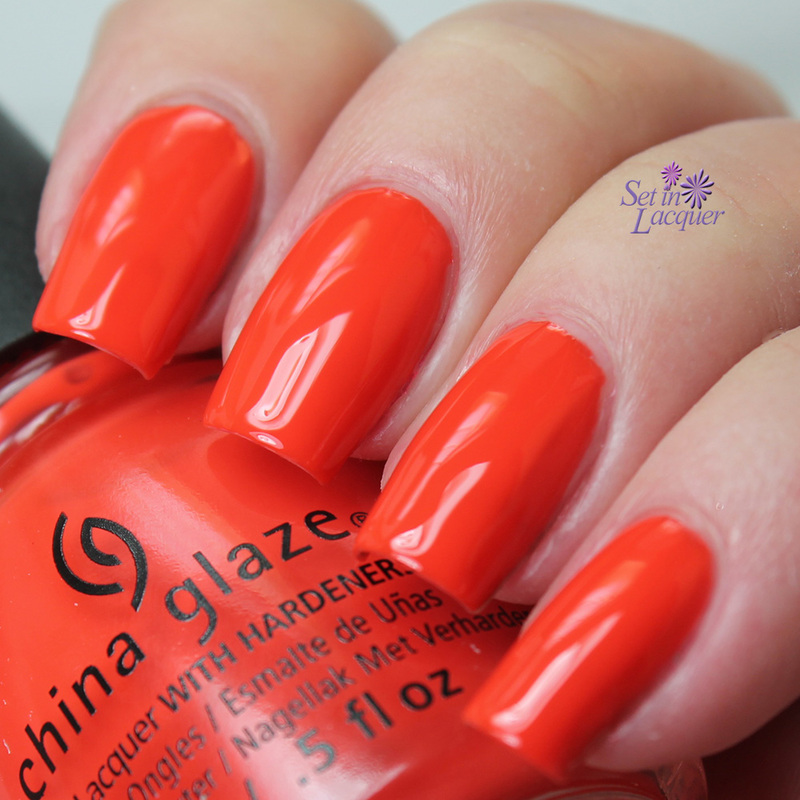 It is a classic polish that will look good on most skin tones. This is three light coats with a top coat. 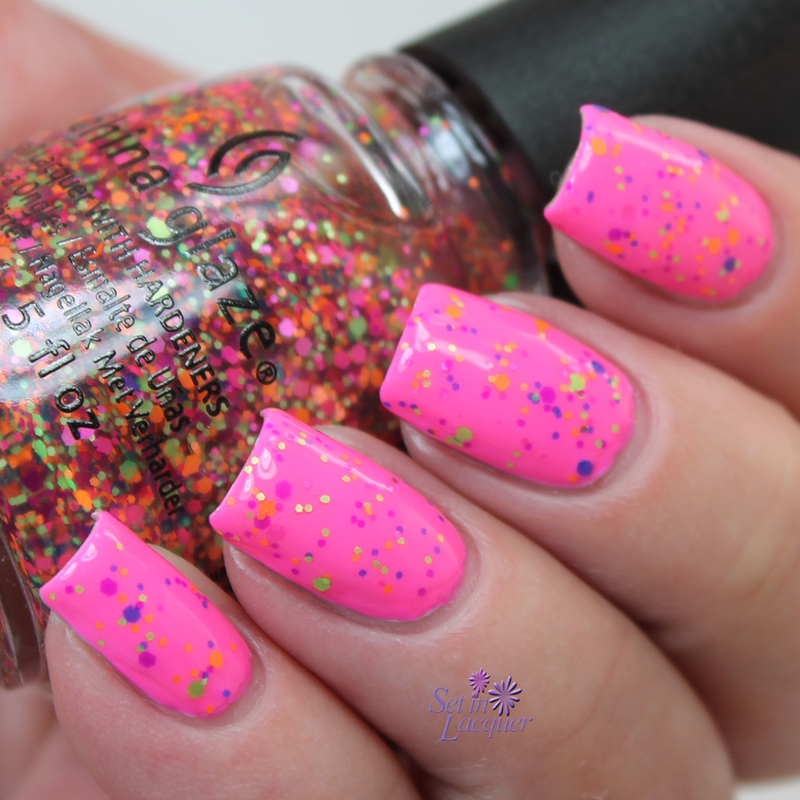 Feeling Twinkly is a holographic micro glitter polish. The shimmer and sparkle in this one are amazing. This is two coats over December to Remember with a top coat. 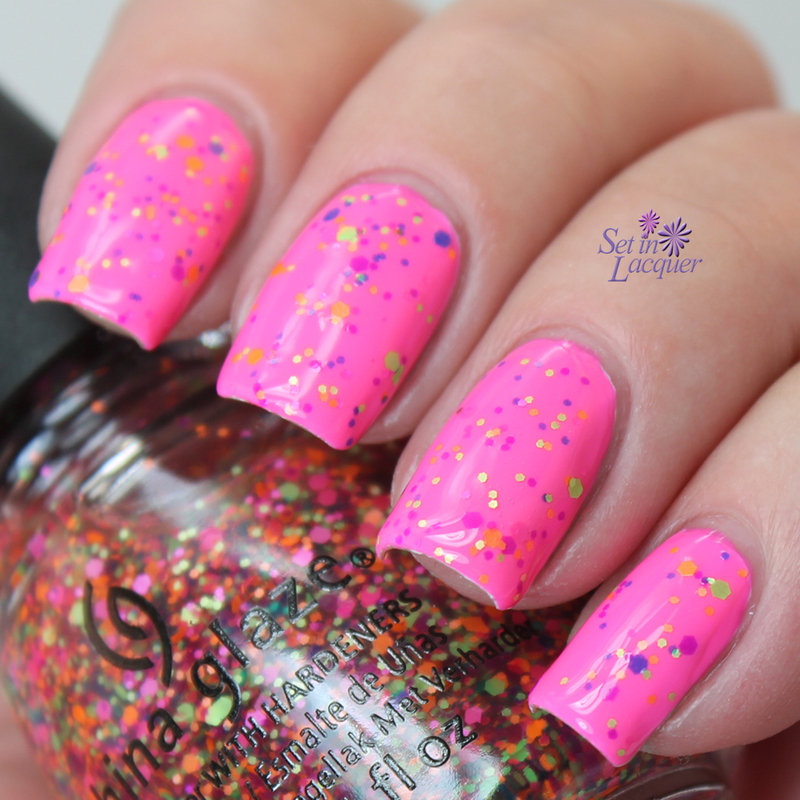 Meet Me Under the Stars is a holographic glitter in a black base. It definitely looks like a starry night. This is one coat over Out Like A Light and a top coat has been applied. No Peeking! is a rich eggplant shimmer polish. This classic shade is on trend with a subtle shimmer. This is two coats with a top coat. 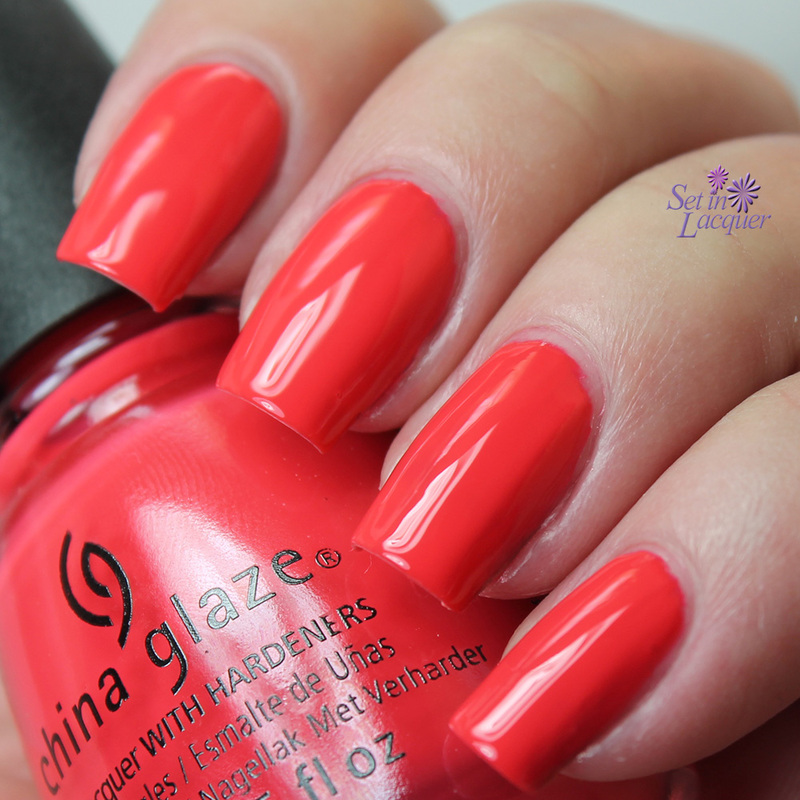 China Glaze - No Peeking! Out Like a Light is a classic dark gray crème polish. 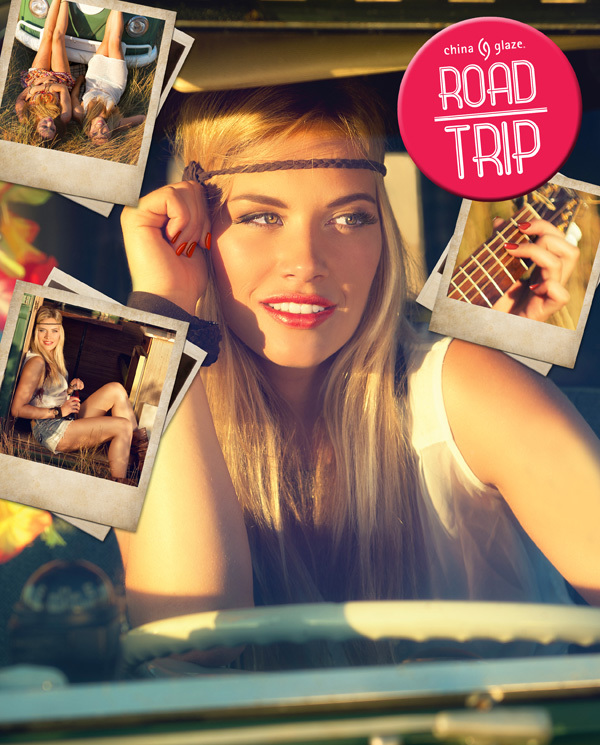 It's perfect for those boots and sweater days. This is two coat. No top coat was used. 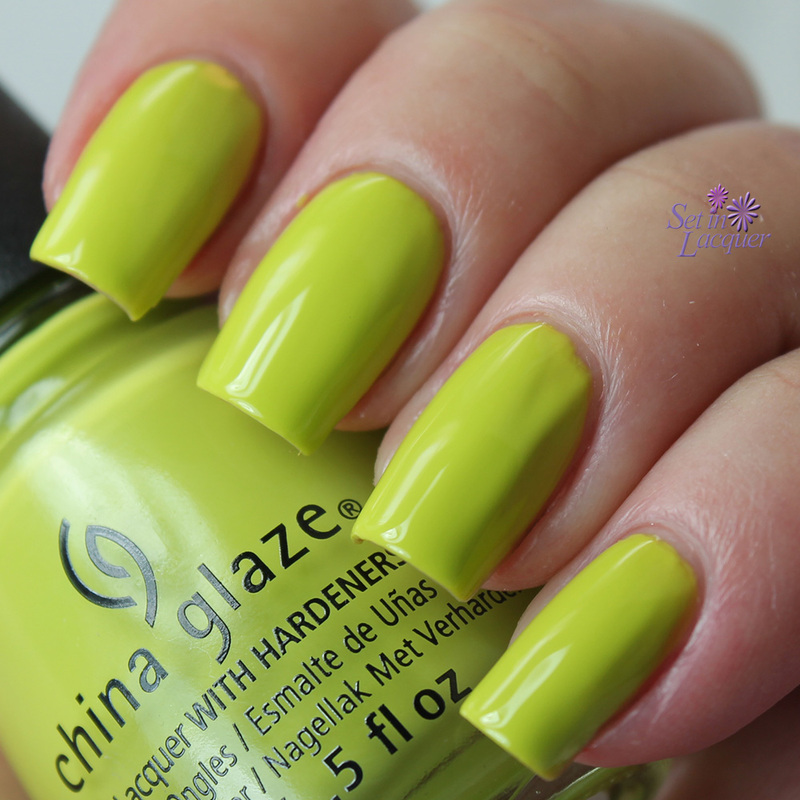 Pine-ing for Glitter is a gorgeous shimmery pine green glitter. It could be worn on its own. But I chose to apply it over Out Like a Light. This is one coat over Out Like a Light and a top coat has been applied. I love the dimension the multi-sized glitter provides. 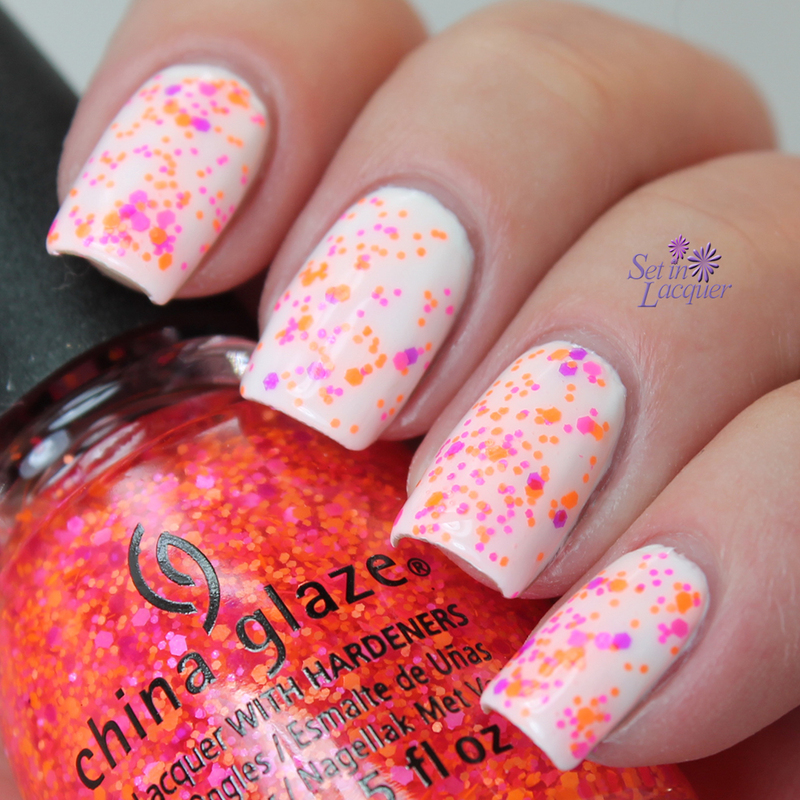 China Glaze® Twinkle is available now at fine salons and beauty supply stores including Sally Beauty and Ulta.